mance troop which would not only build an on-line community to connect fans, provide tools and educational tips for aspiring performers, but also to display an avenue to purchase tickets and reward the user. “Behind-the-scenes” imagery was used to clearly demonstrate the dedication and time required by performers and support crew in order to prepare for final performances, versus just presenting and glamorizing the shows. This direction was chosen because the client wants to inspire their fans and encourage the build of a performers’ community of like-minded individuals. Therefore this imagery will offer a more realistic representation and help debunk the “pixie dust” notion associated with the stage. 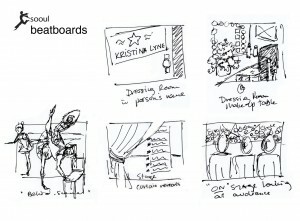 The beat boards show how the user can log-in, upload their own photo and become an interactive part of the performance crew. They participate in rehearsals, warm up techniques, choose their own costumes, make-up and view the audience as if they too were onstage! The wireframe dictate the direction of the design of the final photoshop mockup. Shown above. munity that required an on-line presence. 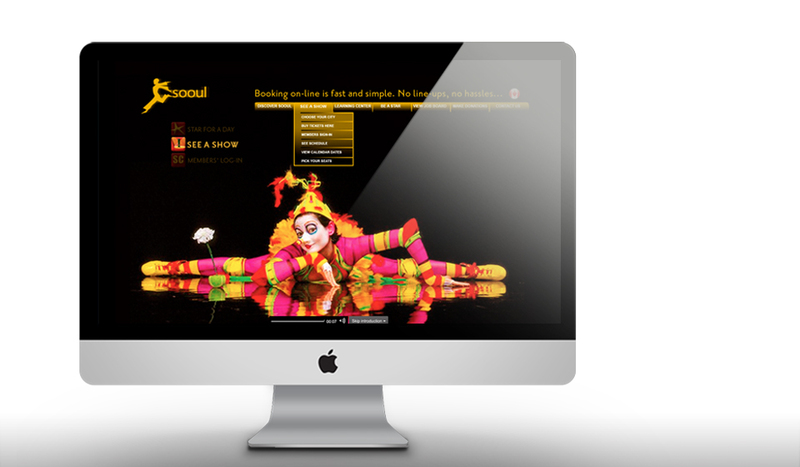 This colourful and interactive website showcases the troops’ performances, engages the audience to participate via tutorials and games while rewarding their customers through personalized loyalty programs and offering necessary options like audience seating and ticket purchases. 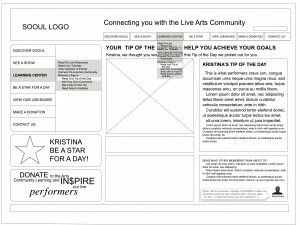 Kristina Lyne is creating visual solutions...one frame at a time.